Camp County Judge A.J. 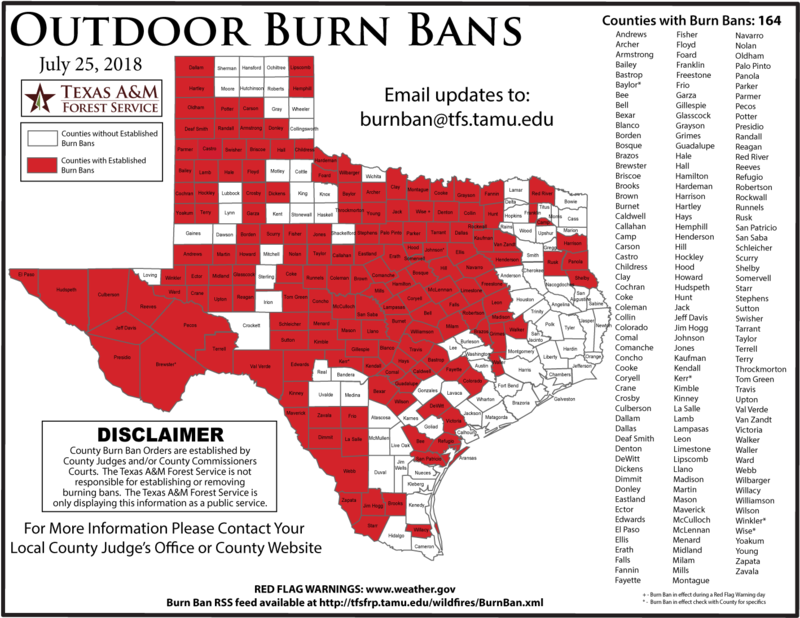 Mason has declared a 30-day ban on outdoor burning. Other NE Texas counties under a ban are Franklin, Red River, Hunt, Fannin, Harrison, Henderson, Panola, Rusk, Shelby, and Van Zandt.